I love being able to take a thought and come together and make it a reality. Custom orders are usually one of a kind items. With Crochet there are all kinds of options that you can incorporate into an item. It may be a different color combination or a special kind of fiber to make that item Special. Whether it be a Sweater, Toy or Home Decor, the possibilities are limitless. Anything that I have made can be custom made. Here are some examples that I have for Custom Orders. This sweater is hand crocheted thick and warm and perfect for those cold days! The hood attached is a plus so there is no need to wear a hat when you want to keep your ears warm. This sweater is designed to be more of a Tunic Sweater so it will not ride up on your back and expose your skin while moving around. The combination of the blues along with the black colors make me think of a dark night when I want to settle down into something comfortable and relax. 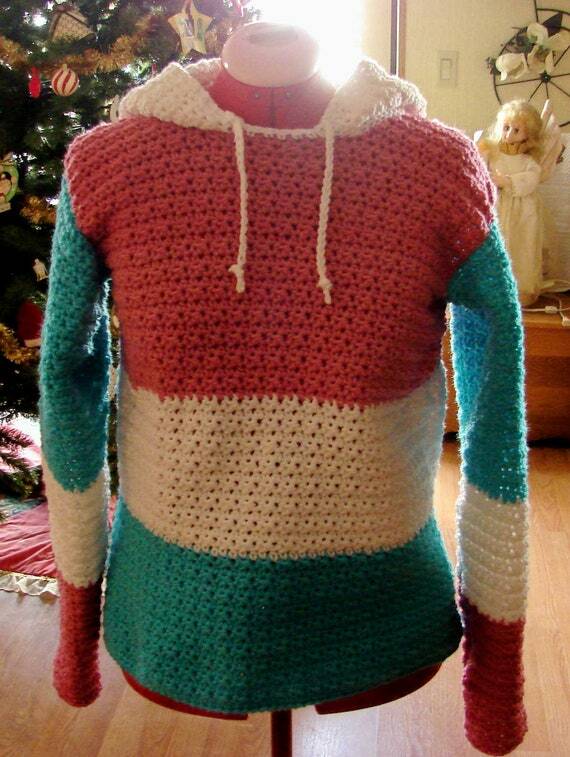 I hand crocheted this type of sweater for my son as a Christmas gift. 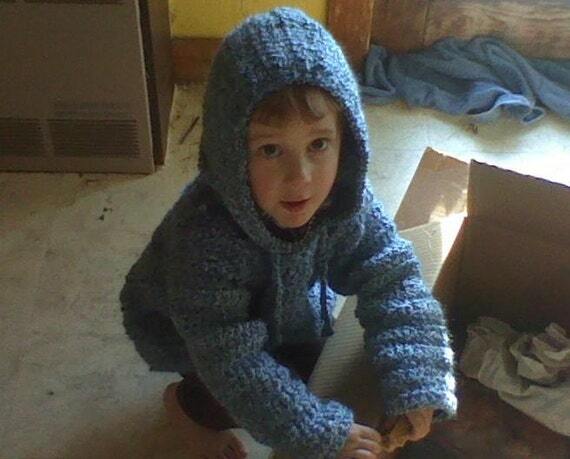 It was a thrill to see this pattern take shape and give it to him so it could keep him comfy and warm! 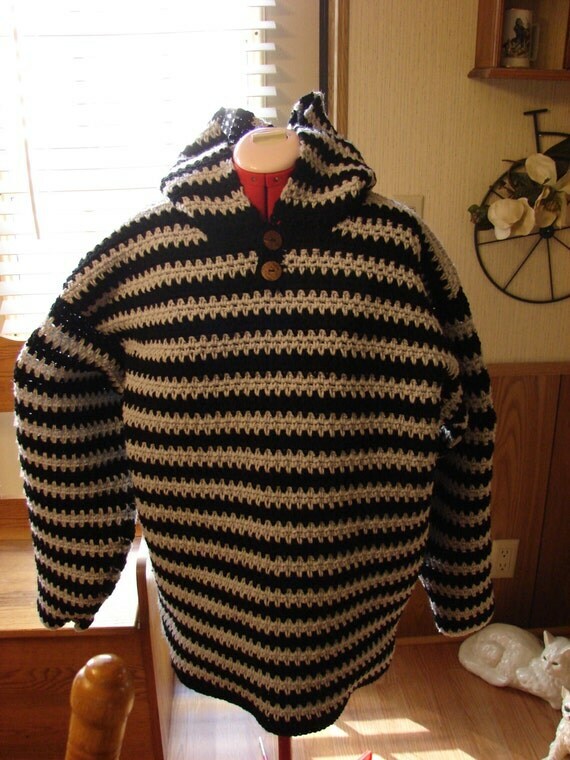 With this Sweater instead of having a drawstring around the hood this sweater has a buttons for more of a classy look. The black and gray colors are neutral so they will compliment anything he has in his closet. This sweater makes me think of being at that Rustic cabin in the woods or wearing it after skiing on the slopes all day. Wear it taking a walk or come back and slip into this Sweater to relax in front of a warm fire. This wool sweater feels soft and wonderful against your skin. This soft sweater will keep you warm while out and about and also great for coming home and slipping into it for that relaxing comfort you are looking for while reading or watching Television. Add a Pop of Color and Fashion to His Wardrobe with this Men’s Tie! This Tie will make a great accessory and a perfect Fathers Day Gift. . Wear it with everything from jeans to date night attire. I had been thinking about making some men’s accessories and my son said he would love to have some ties. 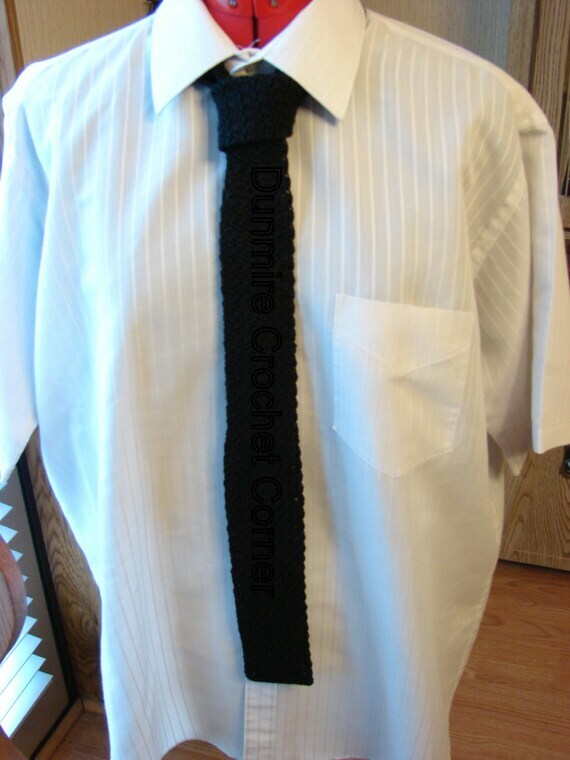 This is the design I had come up with and my son was delighted and wants quite a few of the ties in different colors! This sweater is warm and perfect for those cold days! The hood is a plus so no need to wear a hat when you want to keep your ears warm. Makes a great gift to keep those you love warm! I made this for my daughter in law for a Christmas gift. A bright and colorful pattern for her so she could be all warm and cozy on those cold days. 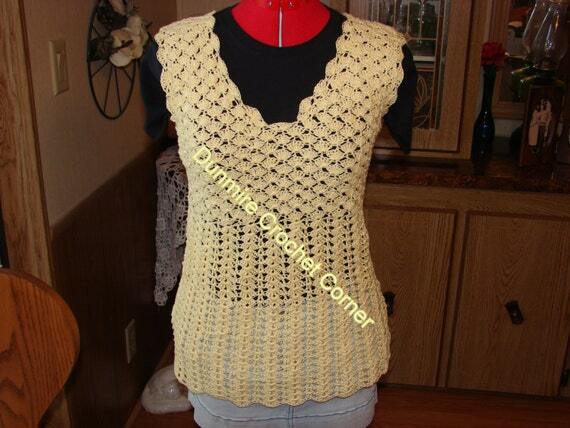 This Sunny Yellow Top is light and airy and perfect for those warm summer days or nights! This versatile piece can be worn a variety of ways, it can be worn by itself or by layering it with a Tank Top, T-Shirt, etc! I had a friend who wanted a summer top that she would be able to wear on those humid days and nights and still be comfortable! This is the design I had come up with and I am happy to say she was thrilled with it! 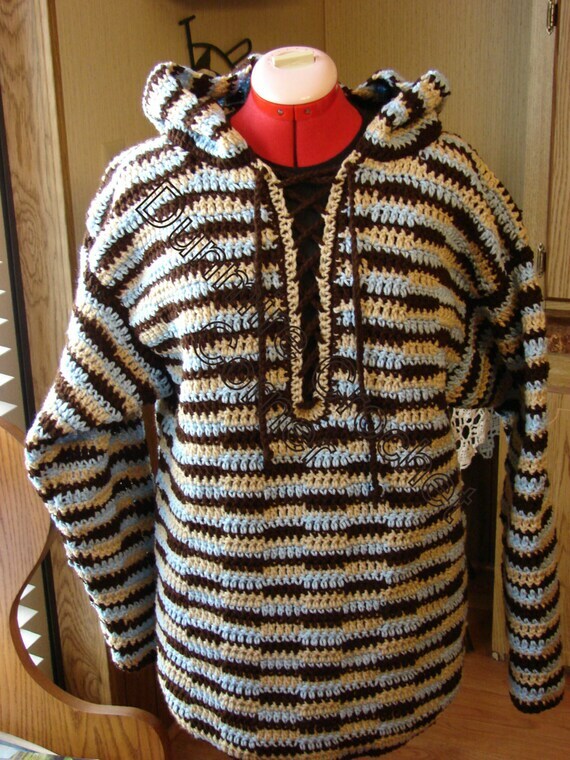 This hand crocheted hooded sweater will set the stage for an active playful day. 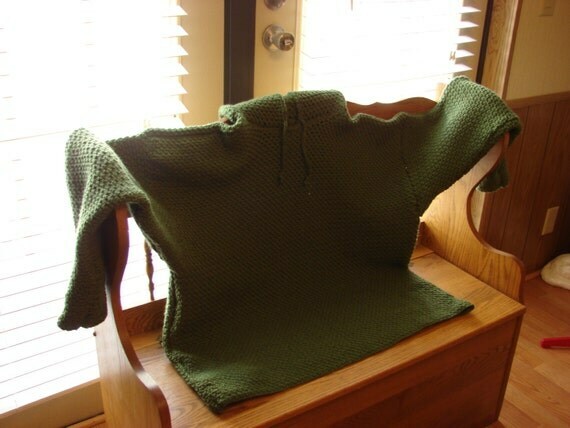 Of course, this sweater can be crocheted in any color to coordinate with the rest of your little one’s wardrobe. I made this for my grandson and was thrilled with the finished product. 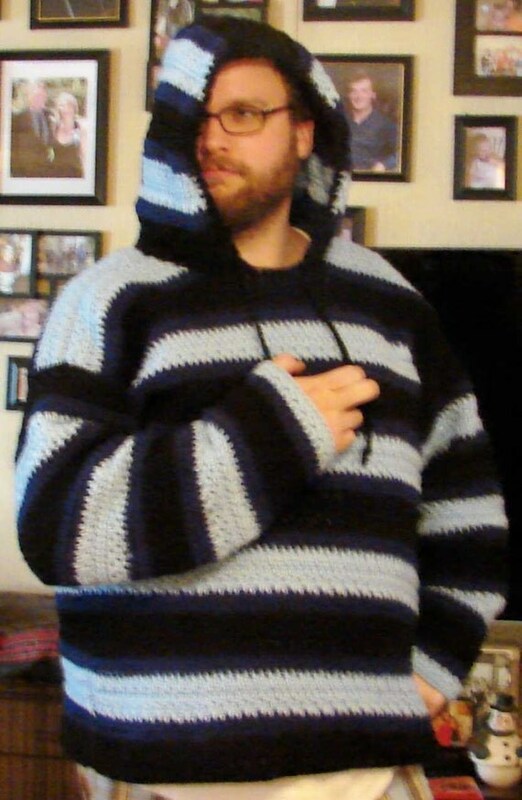 The size of this sweater is 3T but can be made in any size. It can be made in any color to suit a boy or girl. Just when you thought your little one could not be any more cuddly, along comes this super cuddly sweater. 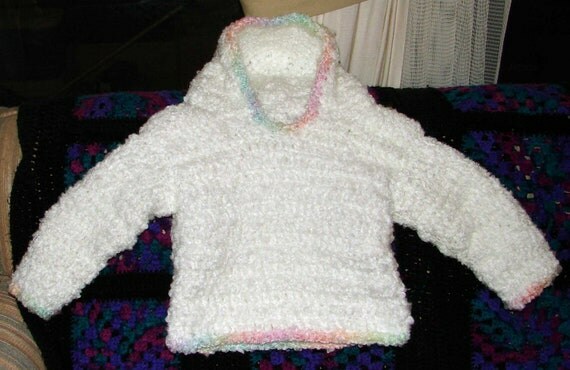 Crocheted in comfy yarn, it is easy-care, easy to put on and take off and perfect for keeping your little one happy. These Crochet Amigurumi Teenage Mutant Ninja Turtles would make a perfect gift for those who are fans of the Teenage Mutant Ninja Turtles. These Turtles would also make a great addition to any collection. My children grew up watching the Teenage Mutant Ninja Turtles. 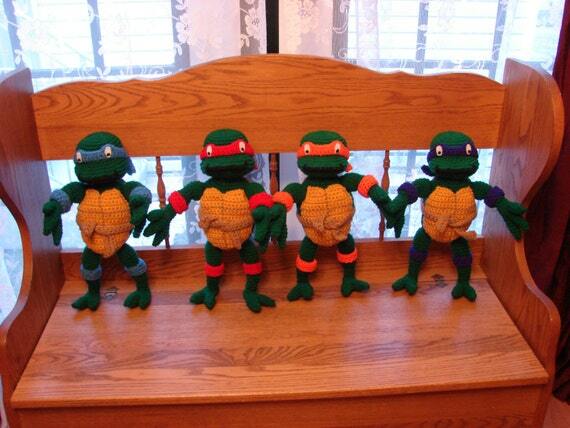 My son saw a picture of the Teenage Mutant Ninja Turtles and said I want one of those! Actually he now wants all 4 of them! I designed them from the older version of the cartoon because that is my favorite version of the Turtles! As you can see there are so many things you can do with crochet and the possibilities are endless. I am always happy to work with you to have a custom item made . If you have something in mind I will be happy to discuss the options with you and I will make that item to your specifications!